Mr Ross Strong, V (5th) Dan, has been a life-long enthusiast of martial arts. Starting at 7 years old in a Judo class in England, Mr Strong very quickly realised he had found something he loved. Mr Strong and his family immigrating to Australia in the late 80’s and as a teenager he began his Taekwon-Do journey. As 17 years old, Mr Strong opened his first class as an Instructor at the University of the Sunshine Coast. He also taught classes at Chancellor State Primary School and in the Glass House Mountains. In 1998, Mr Strong was promoted to I (1st) Dan Black Belt. Second (II) Dan (2000) and III (3rd) Dan (2003) followed. In 2006, at the age of 26, Mr Strong was promoted to IV (4th) Dan and qualified as an international instructor and examiner. Over the last 20 years Mr Strong has served the Art of Taekwon-Do in a number of capacities; a regional examiner, a member of various committees, competition and seminar host. He has coached many students in competition, some competition at World Championships. However, Mr Strong’s primary focus has always been the education of his students at all levels of the Art. In 2012, Mr Strong was promoted to V (5th) Dan and relocated to Brisbane. He is currently a lecturer at the University of Queensland. His interest in effective and active education transcends his University class room and informs his Taekwon-Do classes. 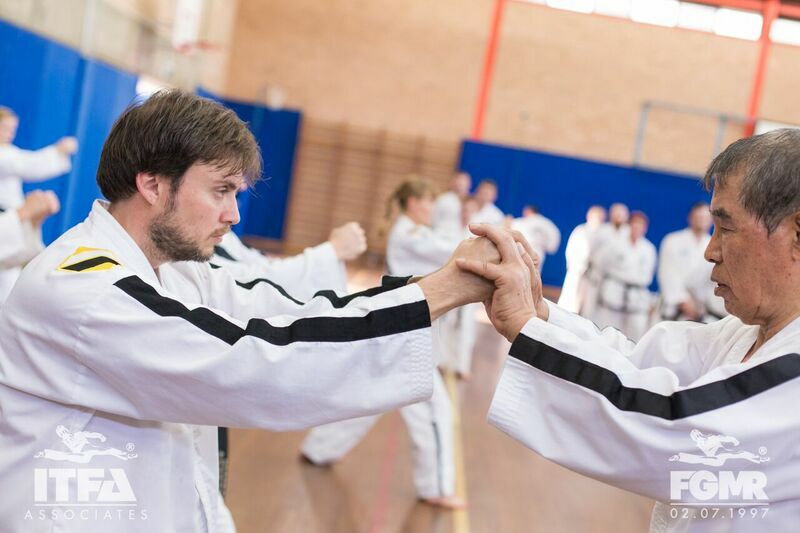 During his career, Mr Strong has attended seminars taught by the Founder of Taekwon-Do, General Choi Hong Hi, First Grand Master Rhee Ki Ha, and Senior Master Andrew Rhee amongst others. Mr Strong first met Senior Master Andrew Rhee, ITFA Founder, in 2011. Since that time he has has attended many ITFA events and hosted ITFA Master Classes in Queensland.